The social media used to be your friend. No, it used to be more like your cool aunt whom you visited every once in awhile, always had a great time with, but could leave behind at any time to spend real, face-to-face time with your peers and business partners. Social media later became like your obsessive (and slightly abusive) boy/girl friend who you were infatuated with but never really made you feel that good about yourself or your professional ventures. Sure, you would go through spurts of happy times, but there were many unanswered messages and the pain of visiting was sometimes greater than if you had just stayed away. Today, social media is like an annoying younger brother. You fight with it, but love it and know that it is necessary to nurture this relationship because that it here to stay. The fights don’t have the same volatility they once had and you are more or less amicable, but it sometimes follows you places you don’t want it to go and gets way more attention than it deserves. Social Media and our professional lives. So how do we reconcile, especially in terms of our professional lives? The term “social media” blankets anything that is on the Internet and promotes interaction. 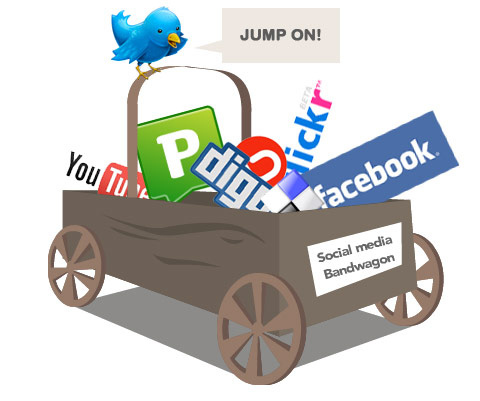 Nearly every time you consume information online, there is a chance for you to book, link, tweet, pin or stumble it. This gets overwhelming, and most definitely irritating. But the important thing to remember is that what we choose what to do – or rather, how we choose to organize – this influx of stimuli and interaction is at our discretion. You don’t have to suffer your way through the feed on Facebook, blowing through advertisements and updates on your co-workers’ new cat-shaped lamp. You don’t have to spend hours trying to create a business plan for how to manage the over-populated and essentially unhelpful ‘professional’ groups on LinkedIn, because something else already exists. If they suit you well, indeed maintain them, but understand that there is another way to branch out and address your professional needs that are not being met. Utilize your safe social media sites that function as the storage place for a massive amount of data (and advertisement), but ALSO include specialized platformsthat prioritize content and the quality of relationships in your repertoire. Newer platforms are certainly at an initial disadvantage because their community is smaller. However, this may just be the point. Specialized and open social platforms create an environment where the exchange of meaningful content is the chief reason for connection. When content becomes key, you eliminate connections based on social convenience or obligation and find a network of people you can utilize for real collaboration. That’s right, you no longer have to accept the request of your mom’s co-worker who finally jumped on the social media bandwagon. You can make use of your professional/social platform, ‘guilt free’ and without feeds flooded with other’s self-inflation. You get what you need, filtered and to the point. Speak for yourself, but in 2012, I want my professional network and B2B relationships to grow. I want people in my own and parallel businesses to know what I have to say without having my post followed by that of my cousin’s ex-girlfriend. Can we call this business maturity? Sure. But as long as organization, productivity and creation of meaningful interaction last on these smaller and specialized social media platforms, you can call it whatever you like. Author Info: Erin Nelson is the Communication & Marketing Manager for the Berlin-based startup, exploreB2B. The new social platform, exploreB2B, allows individuals the opportunity to connect and collaborate with other professionals through reading and writing self-published articles.